I am the chief evangelist for Apex’s approach to evaluation and am passionate about our vision: Evaluation that works. In my role, I cultivate and nurture new and existing relationships with organizations that are addressing barriers to success for vulnerable children, youth, and their families. There is a growing interest in our systems approach to evaluation and the systems we build to make data useful. I’m particularly excited about our Just Health app, the flagship tool of our National CDC Center for which I’m the Principal Investigator. The great work we do at Apex is a result of the amazing team of professionals we have assembled. I spend a significant amount of my energy ensuring they have the capacity and support to carry out our mission. I founded Apex in 1999. Other than a brief post-collegiate attempt at trying to be a race car driver, grantsmanship and program evaluation are all I’ve ever done. My Bachelor’s degree is in Political Science and I hold a Master’s in Business Administration. 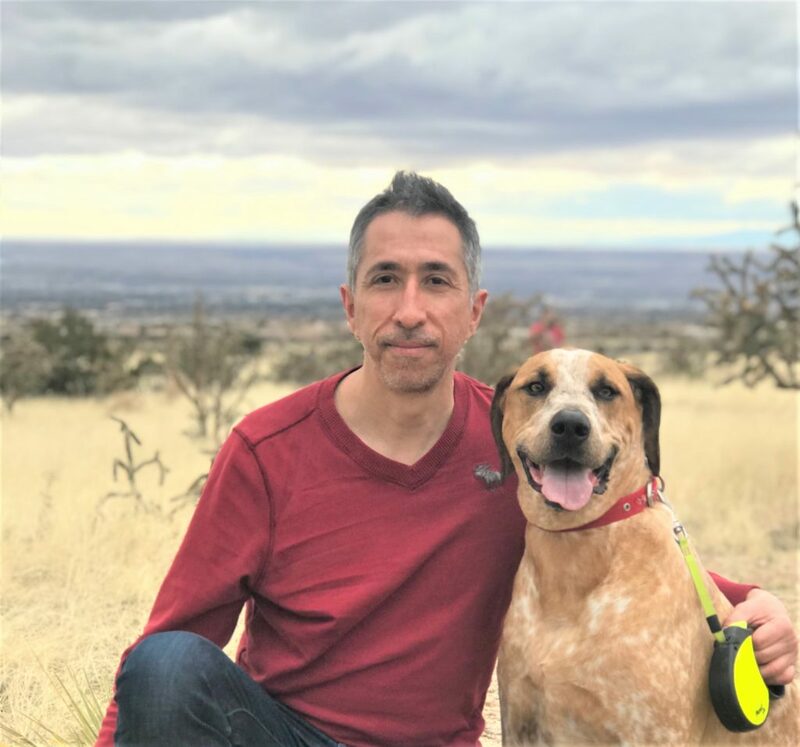 I am also co-chair of the American Evaluation Association LGBT Topical Interest Group, Vice President of Finance for New Mexico Evaluators, and serve on the Board of Trustees for the Con Alma Health Foundation. I can make almost any conversation about IndyCar racing, including those that involve evaluation. I still dream of being the oldest rookie ever at the Indy 500. The rest of my life is spent wrangling two teenage daughters and Truman, my one hundred pound Redtick Coonhound.